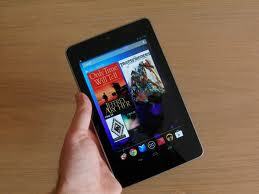 Internet giant, Google might be planning to launch its new Nexus 7 tablet at an event in San Francisco on July 24. The company has sent out invites for an event in San Francisco on July 24 and many believe that the company might be planning to launch the next generation of its new Nexus 7 tablet computer. The event will be attended by Sundar Pichai, product manager for Android and Chrome and the company might also release a new version of Android 4.3. The company has now announced any details relating to the Nexus 5 smartphone. The company will release the new version of the Android platform, which has not become the dominant platform for smartphones and tablet computers the global markets. Leaked details of the device form Office Depot showed that the new 32GB Nexus 7 might be priced at $269.99 or $229.99. teh device is expected to feature a rear camera, quad-core 600 Snapdragon processor, microUSB port for charging, black case, and dual speakers. Earlier reports had suggested that the device will featurea 7" LED 1980x1200 resolution screen, quad-core 600 Snapdragon processor, 2GB RAM, 32GB internal storage, 5MP camera, front camera, Android 4.3, 4000mAh battery, NFC and LTE/WCDMA/GSM support. Meanwhile, it is believed that the company will launch the Moto X smartphone, which will be the first smartphone made by Motorola since it was acquired by Google.